Won't be lone until we are being teased with the 2018 subscriber gift whilst we still wait on the arrival of the 2017 gift.Why does it take so long? Dispatch of The Joshua Tree Singles Vinyl Collection: 1987 & 2017 will start in December. A shipping confirmation email will be sent to qualifying subscribers as soon as this special gift hits the mail. But please don’t forget that in order to receive this four-disc vinyl set you must follow these simple steps. 1. Visit the PROFILE page and confirm or update your physical mailing address. As part of your 2017 subscription offer, live versions of With or Without You, I Still Haven’t Found What I’m Looking For, Where The Streets Have No Name and In God’s Country - all captured on the current Joshua Tree 2017 Tour, are downloadable here. Just downloaded and listened to live versions.... I'm very happy with them. Will be nice to play on vinyl when they arrive in December. Well, I guess I can stop stalking the mailman for the moment. We all await news of the fabled toilet brush. You'll have to wait until December to receive it. Well if we're getting this in December,if we renew again how long will it be to we get the next gift. But I want it now! I've been waiting for it 8 years already! This is a joke! 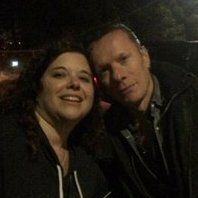 Have the band completely lost touch with the fans? The live tracks were all recorded in the US so why does it take 5 months to produce and mail out the vinyl? The grooves in the vinyl are being etched by hand. What the heck????? When I look at my account, it says I have to redeem the 2017 gift. I've done this on 4. May????!!!! Thanks Bigwave. I haven't even resubbed, just redeemed the gift months ago. Yes me. It has flipped back and forth from "Redeemed," to "Redeem," to "Redeemed," more than once. It's presently fine. I did resubscribe early for the presale codes yesterday. All out of stock. You need to move on to a different gift. I remember in the past,when re-subbing,there would be a tick box question on the gift,,, marked * gift*. As a European based subscriber, can the mods please confirm if the subscribers 2017 vinyls gift will be sent out marked *gift *. can;t remember if that was an option.. anyone else? 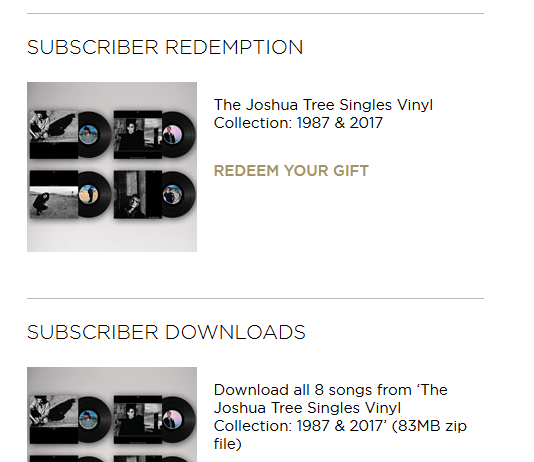 My memory is as bad as a fish, but on this question i am 99 % sure of being able to mark the subs gift as a *gift was there when renewing in the previous years, well up to the 2017 vinyl gift when we then asked to * redeem * the subs gift..